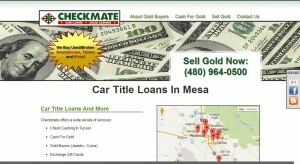 Checkmate address, phone, website, hours of operation, and more. 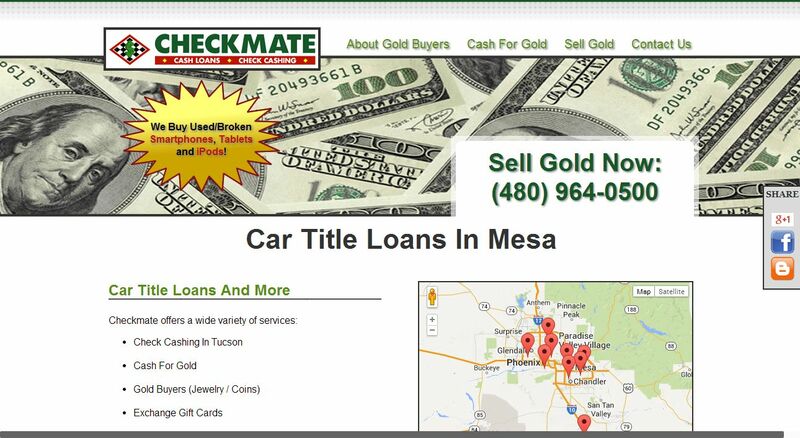 For those people in need of a car title loan in the Mesa area, the friendly and professional staff at Checkmate is always available to get things done quickly and efficiently. Getting caught with unexpected expenses without cash in hand can be stressful. Our convenient location offers hassle-free transactions that will have you back on track before you know it. When you have bills to pay and your paycheck is still a week away, a car title loan is the perfect solution.